Most people don't realize how much their Area Rugs are actually worth. Some can be valued at thousands of dollars, yet they are not given any special attention. We've seen so many Area Rugs simply rolled up and shoved in a garage or a storage space where they collect dust for years. Do you know that your Persian Rug can be preserved for years to come simply by giving it a fresh Carpet Cleaning with Arvada Carpet Cleaners? Does your home contain a slew of hardwood floors that are covered with more than a few Area Rugs. Area Rugs have been in style for a long time now, and are a very convenient and inexpensive way to cover space without installing massive amounts of Carpet. They can also be worn down very quickly because of lack of care. 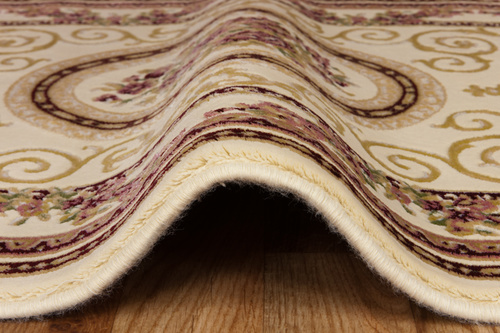 Area Rugs need to be Cleaned just as much as your regular Carpet, which is once every six months. Typically, Area Rugs can be cleaned very inexpensively, and Arvada Carpet Cleaners can be just the company for the job. Think about the cost savings for a minute. A nice Area Rug costs in the Hundreds of dollars. If you leave this be to collect dust, dirt, and stains, over the course of its life, it may be unsalvageable. By simply giving Arvada Carpet Cleaners a quick call, we can beautify that Area Rug with a fresh Cleaning! Clean your Area Rug with our Arvada Carpet Cleaners Area Rug Carpet Cleaning Services. Arvada residents will thank us when they see how we can revitalize that old Persian Area Rug. Finally, it will be a piece that guests will talk about when they walk in your front door! For a quote on cleaning your Area Rug in Arvada, give us a shout at 720-442-9035, or complete the details to the right!